LOS ANGELES, October 14, 2018 - Breeders, a new comedy series starring Martin Freeman and Daisy Haggard, has been ordered to series at FX, it was announced today by Nick Grad and Eric Schrier, Presidents of Original Programming for FX Networks and FX Productions. The 10-episode first season will premiere on FX in 2020 and is being produced by FX Productions, Avalon Television and Sky Original Productions. Breeders exposes the parental-paradox that it is possible, in the very same moment, to love your child to the horizon of the universe, while being apoplectically angry enough to want to send them there. Martin Freeman stars as a caring father discovering he's not quite the man he thought he was. 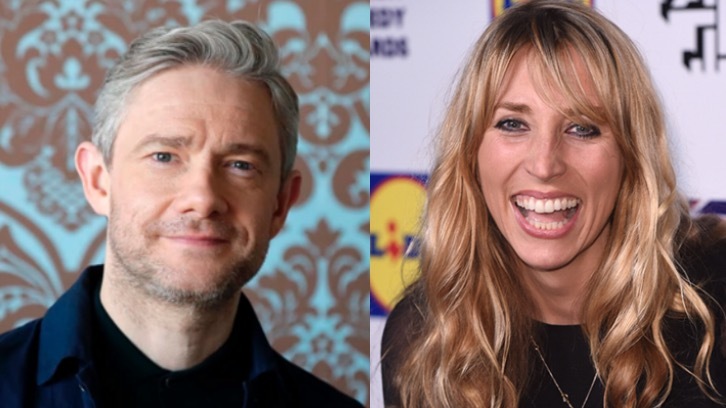 "Martin Freeman is an incredibly versatile artist who is perfectly paired with the wonderfully talented Daisy Haggard in Breeders," said Grad. "We enjoyed working with Martin on the first installment of Fargo and are delighted that he is executive producing along with Simon Blackwell and Chris Addison. We also appreciate the chance to partner with Avalon Television and Sky Original Productions to bring this new comedy series to audiences worldwide." Academy Award(R)-nominee and double Emmy(R) Award-winner Simon Blackwell (Veep, Back, Peep Show) is Showrunner. Breeders is created by Blackwell, double Emmy Award and Directors Guild of America-winner Chris Addison (Veep, The Thick of It, The Hustle) and Emmy and Bafta(R)-winning Martin Freeman (Fargo, Sherlock, Black Panther, Captain America: Civil War, The Hobbit, Cargo, Ghost Stories), who stars along with Daisy Haggard (Hang Ups, Episodes, Black Mirror). Executive producers are Blackwell, Addison, Freeman, Richard Allen-Turner, Rob Aslett, David Martin, Jon Thoday and Michael Wiggs. Breeders was commissioned for Sky by Zai Bennett, director of programmes, and Jon Mountague, head of comedy, with Josh Cole set to be the commissioning editor. "I'm delighted to be making Breeders with a team that can make me laugh whilst we look at some of the less-discussed truths and challenges of being a parent," said Freeman. "I really love this project and am delighted to be working with FX and Sky." "I am very excited about making Breeders, to the point of being told to go to bed and stop showing off," said Simon Blackwell. Added Chris Addison, "It's a treat to be cooking up stuff with my old comrade Simon Blackwell and the peerless Martin Freeman. We're very excited that FX and Sky have agreed to finance what is effectively us working through some of our own issues in the form of ten half-hour sitcom episodes. Usually you have to pay for your own therapy."